The Youth Comedy Manga adaptation will come on Spring 2016. 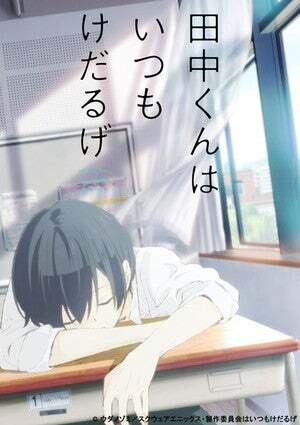 It has been revealed by a promo that the Anime adaptation of Tanaka-kun wa Itsumo Kedarugewill come on April. Let´s check it out.